Use this helpful list for information on the next 30 upcoming city events. The City of Harrisonburg will accept sealed bids for the Shenandoah Raw Water Line Project Invitation to Bid up until May 23, 2019 at 3:00pm local time. Participants will convert a heavy plastic pickle barrel into a functional rain barrel during the Rain Barrel Workshop. 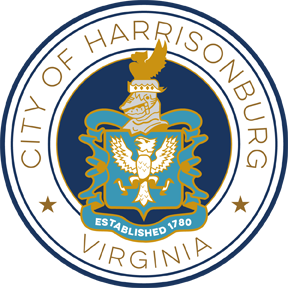 City of Harrisonburg offices will be closed in observance of Memorial Day. Refuse for Monday, May 27 will be collected on Tuesday, May 28. The Bicycle and Pedestrian Subcommittee works to identify needs and opportunities for making Harrisonburg more walk and bike friendly. Meetings are held in Room 011 at City Hall, 409 South Main Street. The tax rate for the City of Harrisonburg is .85 cents per hundred of assessed value. This rate is subject to change annually. The tax rate is set by City Council and decided upon each year in April. Polls in Harrisonburg are open from 6:00am to 7:00pm on Tuesday, June 11, 2019 for the June Primary.